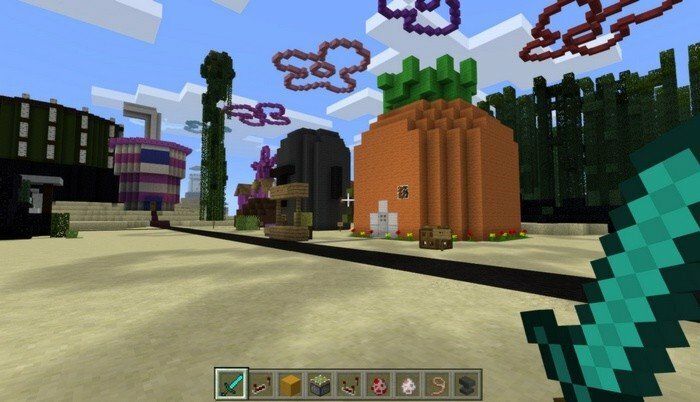 Bikini Bottom is map for Minecraft PE 1.0.0 made for the fans of SpongeBob SquarePants series. 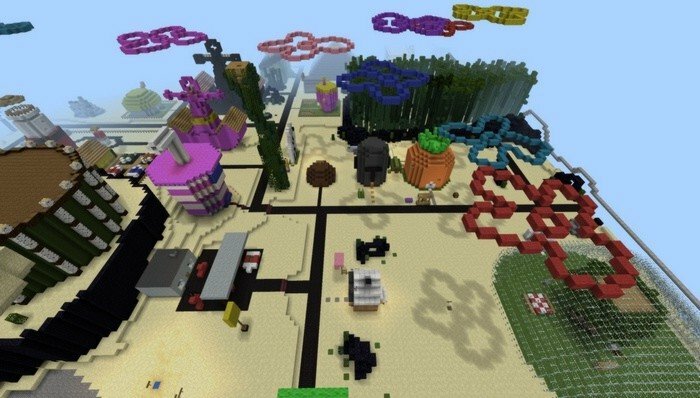 Map copies nearly every inch of the original TV series including: SpongeBob's house, workplace and City Mall. 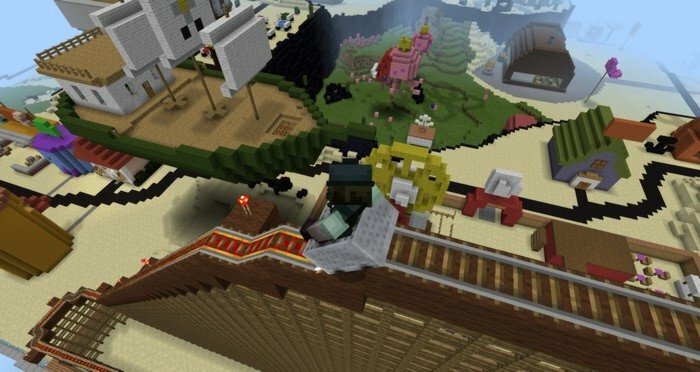 If you are careful enough, you will be able to find SpongeBob himself. 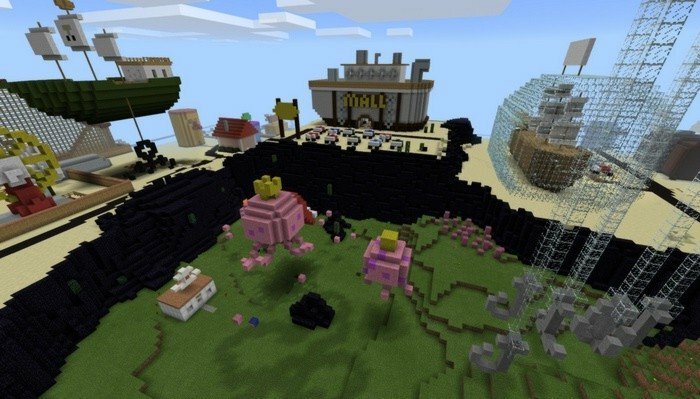 While the map is very cool by itself - it is not intended to play it on survival.